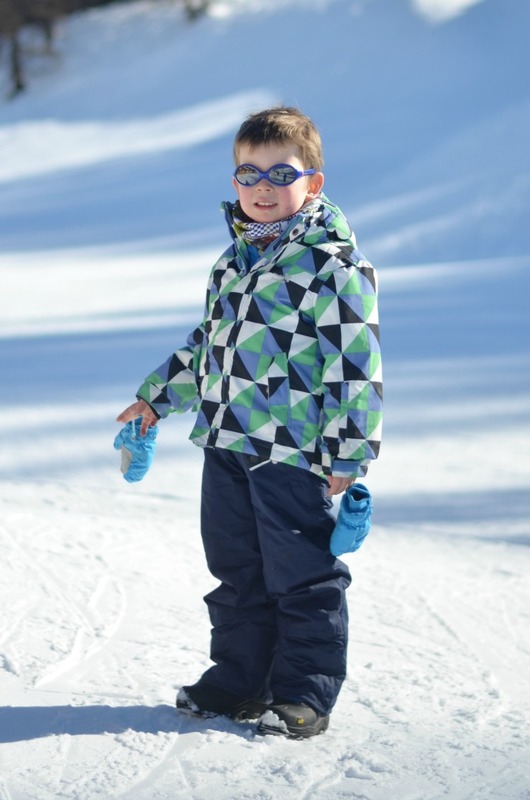 We have recently returned from an amazing week in France with Snowbizz and Dylan learnt to ski for the very first time. Muddy Puddles kindly sent him some snow gear and it was absolutely perfect for our trip. Not only did he look great, but he stayed warm, dry and protected even though the temperatures were well below zero even in the middle of the day. Dylan was sent a jacket, salopettes and snow boots and all three were worn every day. 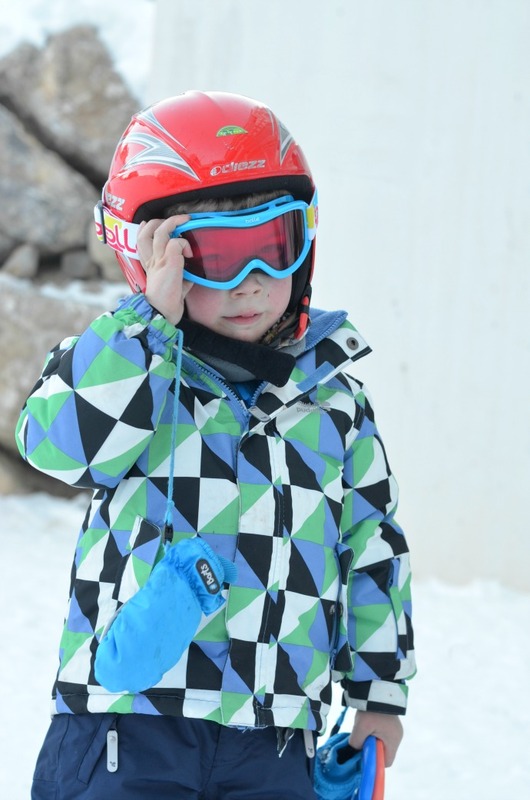 His jacket had everything you need for a ski coat with it being windproof, waterproof and snowproof. It had poppers to form a barrier at the bottom, plenty of pockets including one in the arm for a lift pass and a cosy hood. Dylan wore it every day and now that we are back in a rather snow-less country it has become his winter coat, perfect for the school playground. The salopettes were simple and blue but protected him from falls and kept him warm and dry even when we were making snow angels. We did find the waistband was a little tight on these but Dylan didn't find it uncomfortable at all. The boots were chunky and warm with great grip for the snow and they were easy for him to do himself with one main zip and then velcro panels over the top. We had taken other shoes for when he wasn't in the snow as much but he was happy to just live in his comfy boots. I was really impressed with the quality of everything we were sent, especially considering it is all in the sale and the jacket is down to only £23! I am rather tempted to buy the next size for next year as it is an amazing coat. I love the brightness of the jacket and the print really suited Dylan, was easy to spot in the snow and goes well with his everyday clothes for when we are at home. I would say that the clothing is very true to size as are the boots, we chose his normal sizes and it had space for layers underneath and should fit over the whole winter. 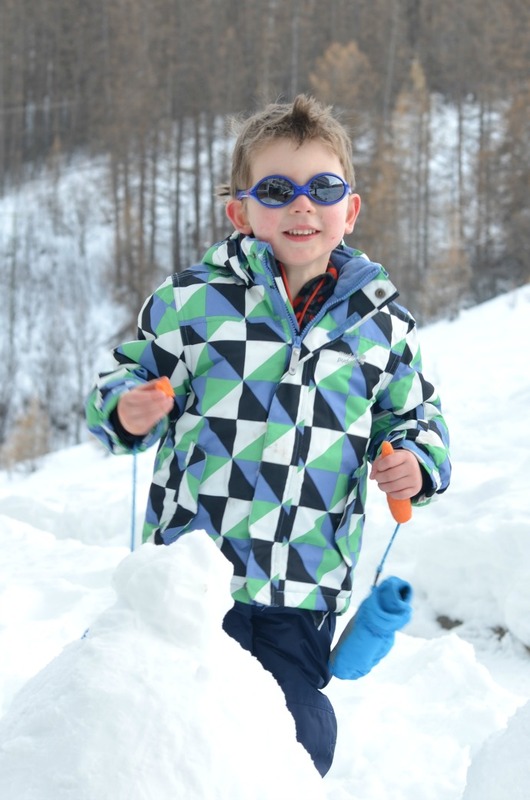 I am struggling to fault any of the pieces we were sent and having tried a few ski brands on the children I will definitely be going back to Muddy Puddles for both the quality and price. It made him much easier to spot!